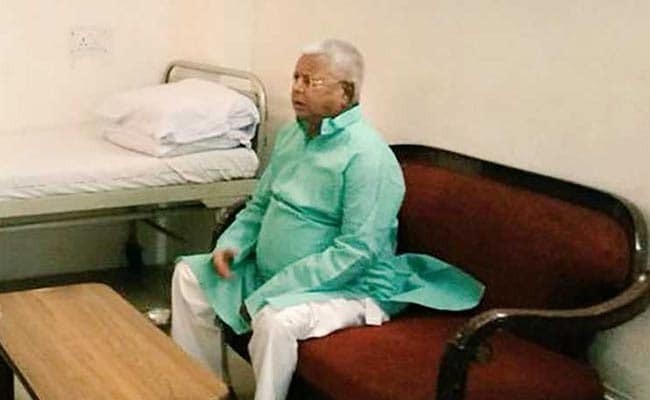 Lalu Yadav has asked to be moved to a 100-bed paying ward, which at present has only three patients, an RJD lawmaker said. Lalu Yadav surrendered on August 30 to a special CBI court in Ranchi. He said the RJD chief's blood sugar level was above normal limit and he needed to walk. He has been convicted in the fodder scam which surfaced in the 1990s when Lalu Yadav was Bihar's Chief Minister.